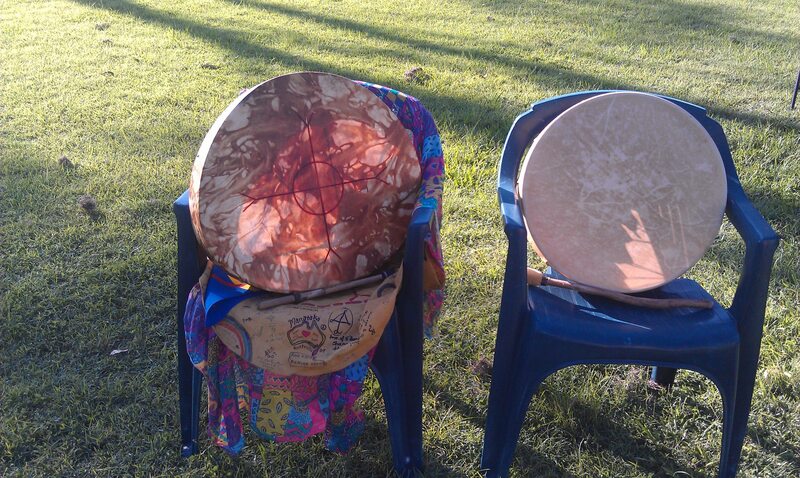 In many Indigenous cultures and traditions, drum making and the use of drums are sacred events where the intent or sacred breath that you put into your creation and the energy work you are doing are key elements in the process. 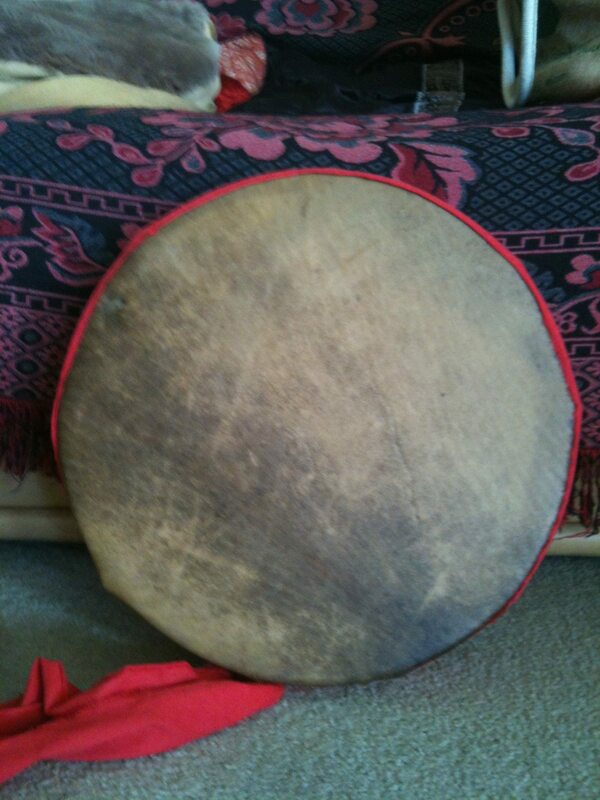 In Native American cultures, drums are used in many different situations: special rhythms played for healing purposes; to induce and sustain trance-like states or consciousness where the energy raised is directed towards a specific purpose like world peace; steady and/or uplifting beats suitable for ceremonial work such as in the various dances of the Pow Wow; prior to undertaking shamanic work, spiritual journeys and vision quests; to link members of different communities together at special festival times; in drum circles to celebrate the Full Moon and to promote healing/meditation; and to bring all into harmony and unity with the Earth Mother since the beat of the drum mimics Her heartbeat and our own. Drums are sacred. They are always treated with respect and honour. In Indigenous cultures they are neither seen nor treated as toys. Drums are not played in anger although drummers may play their drums in soothing and repetitive tempos to help release and heal anger in others. Consequently, it’s important PRIOR to making your drum that you work out what your intent is – WHY are you making your drum and therefore what energy do you wish to put into Her? 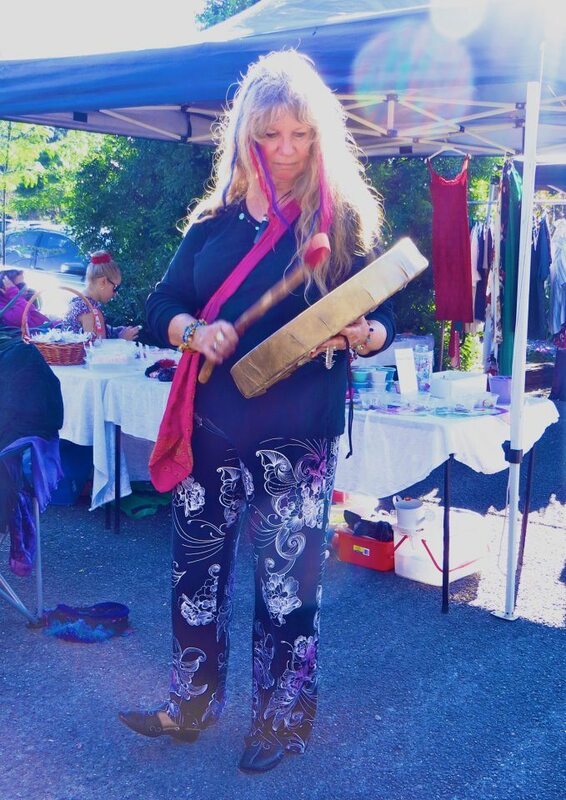 During the actual drum making workshop you will be reminded from time to time to focus on ‘sacred breath’ – that is, to refocus on your heart intent and to consciously put that energy into your drum as you birth Her. Some participants may find that during the drum making process they have ‘flashbacks’ to previous lifetimes where they have made drums before, others may be given the name for their drum. Whatever occurs for you during the making of your drum is important to you and you alone, it is not about comparison, it is about honouring yourself, your drum and your truth so enjoy your journey – putting love, peace, laughter and joy into your drum are wonderful energy intents. 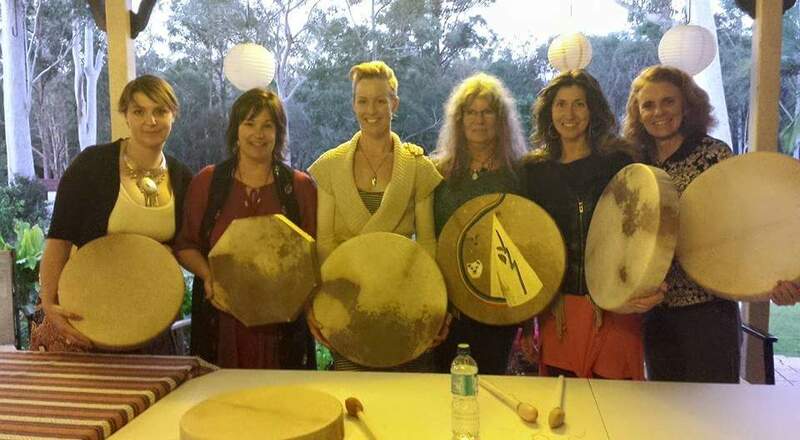 A one day workshop where you make a Native American style medicine drum using your own inner wisdom to birth your sacred instrument with love, respect and honour using prayer & sacred breath. 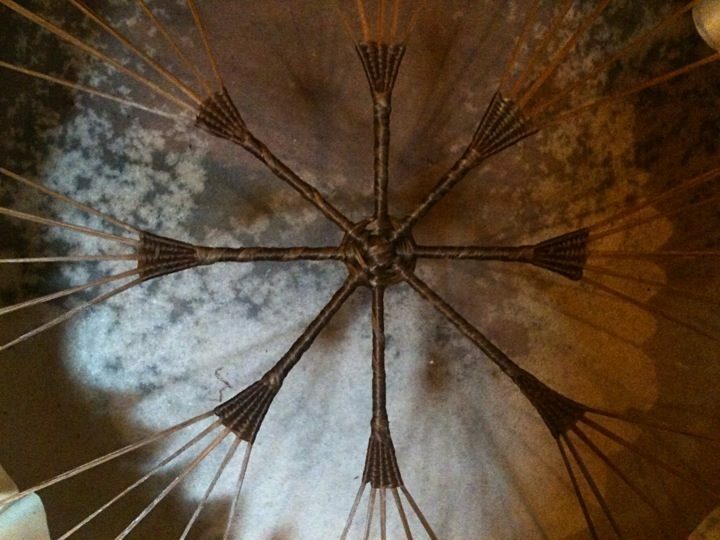 Or ask Lynn to make a sacred Medicine Drum especially for you with Spirit, prayer and ceremony. Please note there is a surcharge of $40 for Lynn to handmake your Medicine Drum for you. A non-refundable deposit of $140 is required 10 days prior to the workshop. When: Held regularly throughout the year or one-on-one workshops.